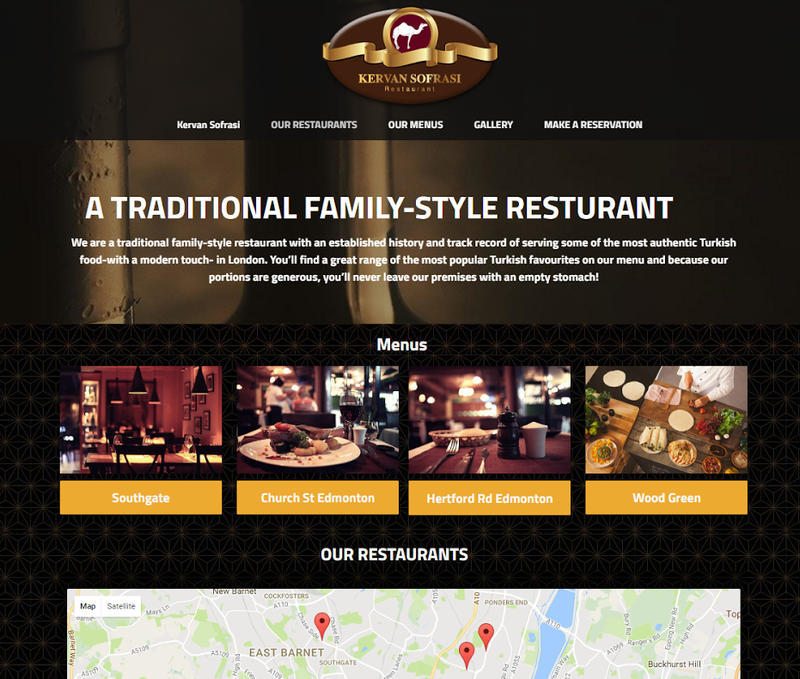 Kervan Sofrasi is a chain of Turkish restaurants located throughout Greater London. Kervan aims to offer their customers an authentic styled dining experience where customers feel as if they’re dining right in the heart of Istanbul itself. After looking briefly at various tools, we decided 123.co.uk was the most appropriate content management system to go with as the client had already signed up to their web-building services and other offerings. This project turned out to be quite research heavy as the client didn’t necessarily know what he wanted to start out with, however, current feedback has been very positive with the owner looking to bring the KITC consultants in on his other businesses.